Exactly one year ago today, I took my first real solo trip. By real, I mean out of my city, out of my state, road trip style, big girl trip. 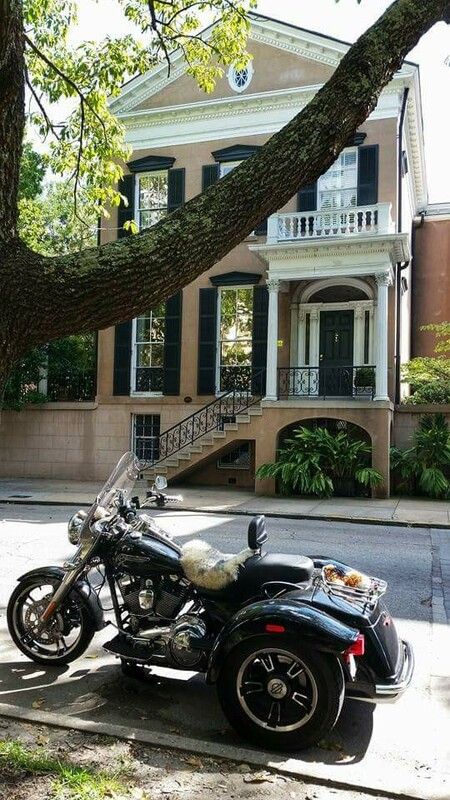 Savannah, GA had long been on my bucket list – even back when I lived in Michigan. Also on my bucket list? A solo, crossing-state-lines trip. 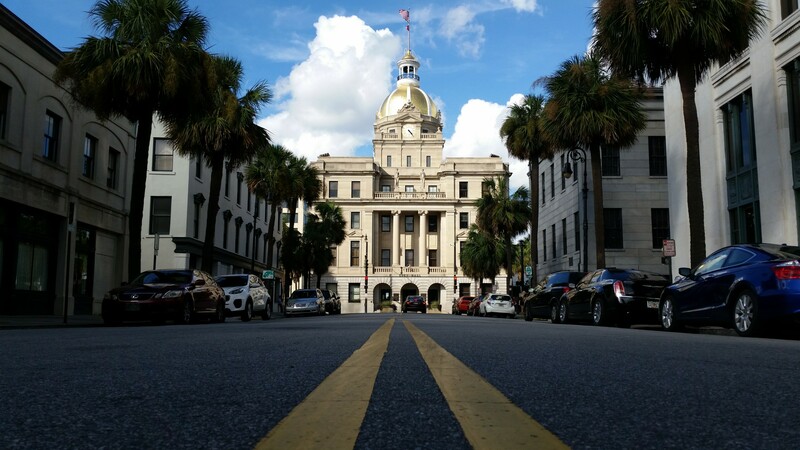 So, when I realized that the drive to Savannah was under six hours, it just seemed fitting to check ‘em both off the list at the same time! 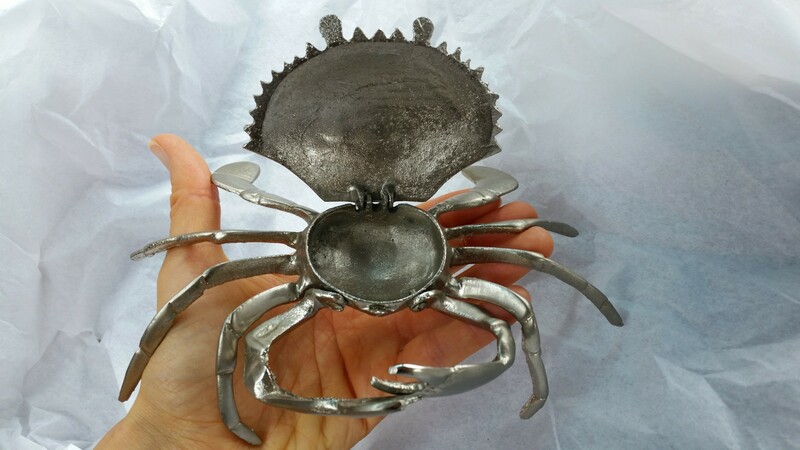 Being my usual frugal self, I decided not to stay overnight, which meant an early morning, late night, and all the things I wanted to do crammed into the in-between hours. Lucky for me, I’m a planner… and a researcher… so I made it work. 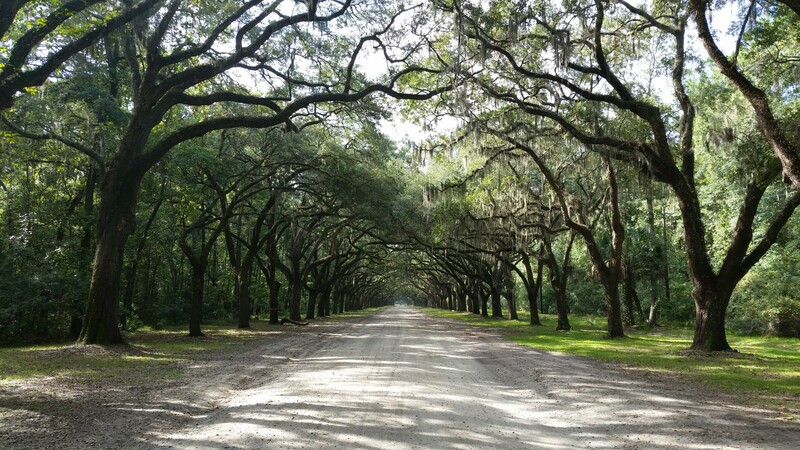 After Wormsloe, I had to fit some antique shopping into my day. 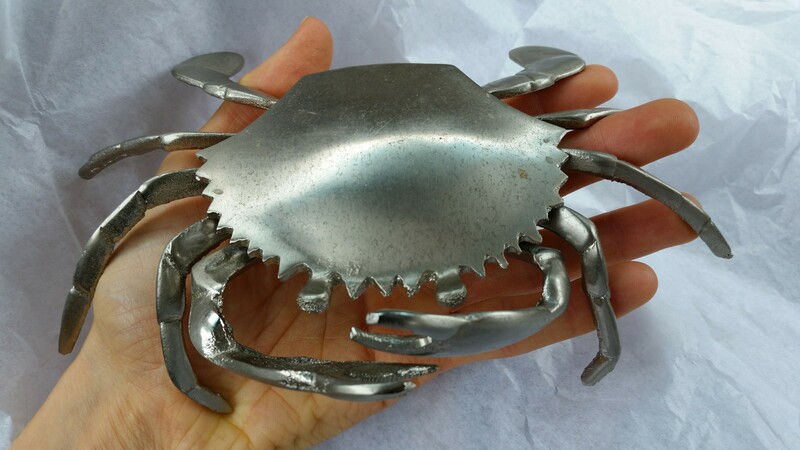 And I totally scored with this crab from Habersham Antiques! It was the perfect memento to mark my momentous adventure. Antiquing complete, I saved room in my itinerary to just wander through downtown Savannah for a few hours. Those brick-paved streets lined with historic homes and buildings charmed me silly! I could NOT get enough of all the character and vintage details – even in the parks! – and that sweet, Southern vibe was just icing on the hummingbird cake (or some other popular-in-the-South cake… red velvet??). Anyway. I was crushing on Savannah. Still am! After grabbing dinner of teriyaki chicken skewers and edamame from Fire Street Food (seriously SO good! 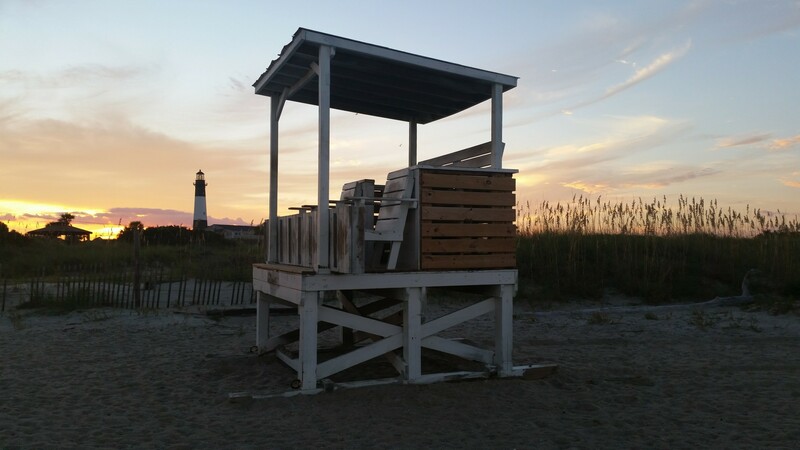 ), I headed to my final destination: Tybee Island for sunset! I spent close to an hour and a half roaming North Beach, pre-sunset. Being late September, it wasn’t terribly busy, which is ALWAYS a plus, in my opinion! 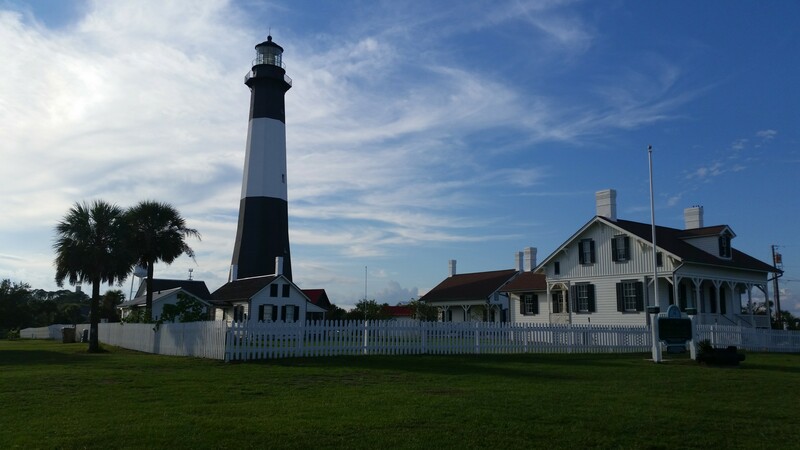 The classically nautical Tybee Island lighthouse, adjacent to the beach. Oh, what a treat to have it in the foreground of my sunset shots! The more wild, Atlantic feel vs. the touristy draw of Tybee’s South Beach. No pier, no pavilion, no tourist shops on palm tree lined streets. I enjoy those things in moderation, but welcomed their absence from North Beach. The walkability of the beach. 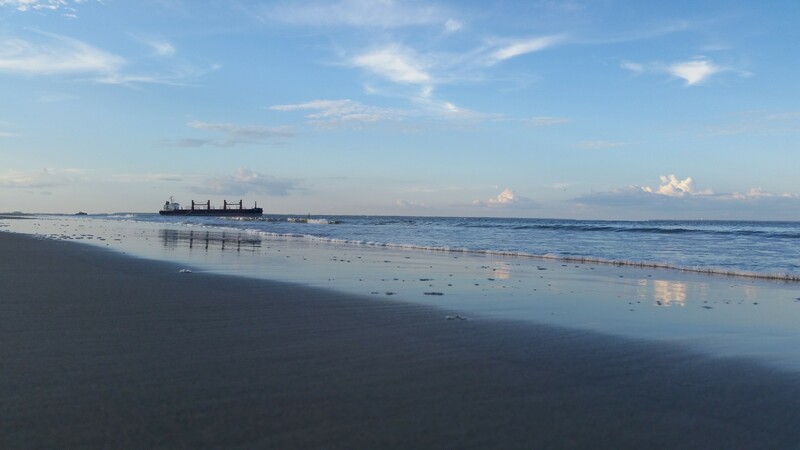 From the gentle slope of the sand, to its texture, to the stretch of mostly vacant shoreline, I was a happy, beach-walkin’ girl! The ships at sea. Living on Florida’s Gulf side, I’m used to the sun being over the water in my sunset shots. Not so here. So, spotting at least two hulking, slow-moving freighters added visual interest to an otherwise blank-canvas horizon. Did I say lighthouse yet? Ha! But really. 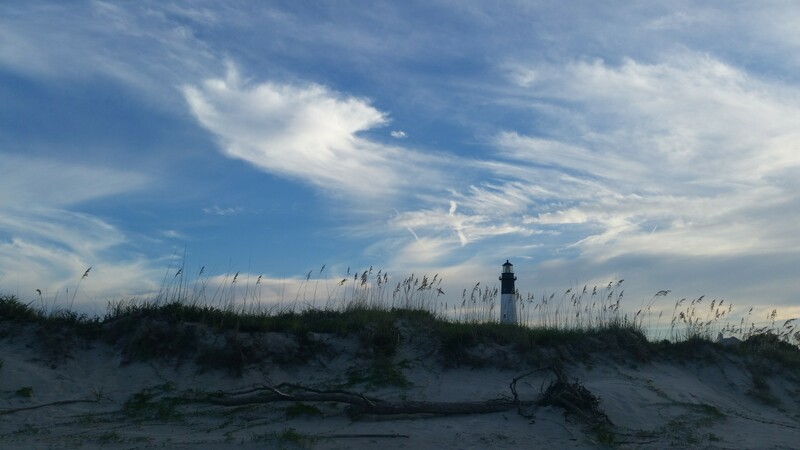 That lighthouse captivated me! 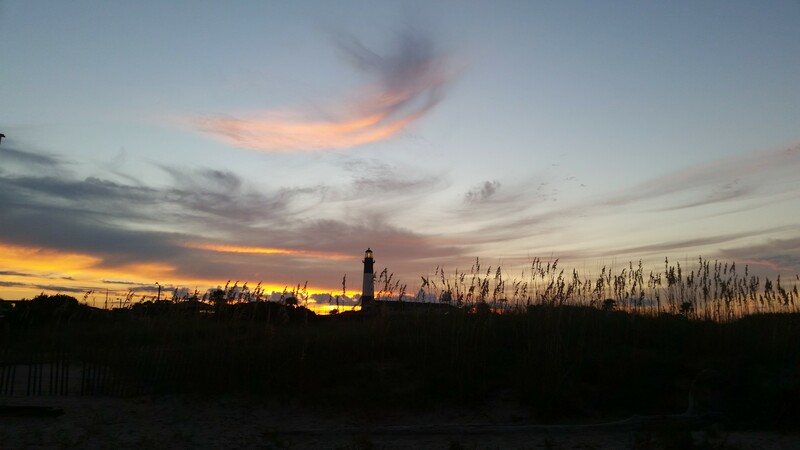 I’ve been a lighthouse enthusiast since I was, uh, maybe 10… or 11 years old. Somewhere in there. And, growing up in Michigan, we had more than a few around those Great Lakes. So, for me, they’re sort of nostalgic… and romantic… and the epitome of coastal. In all, it was such a joyfully successful trip that two months later – with the travel bug still biting fiercely – I booked a flight to Paris for my first international solo trip! If you haven’t yet read about that, go here. 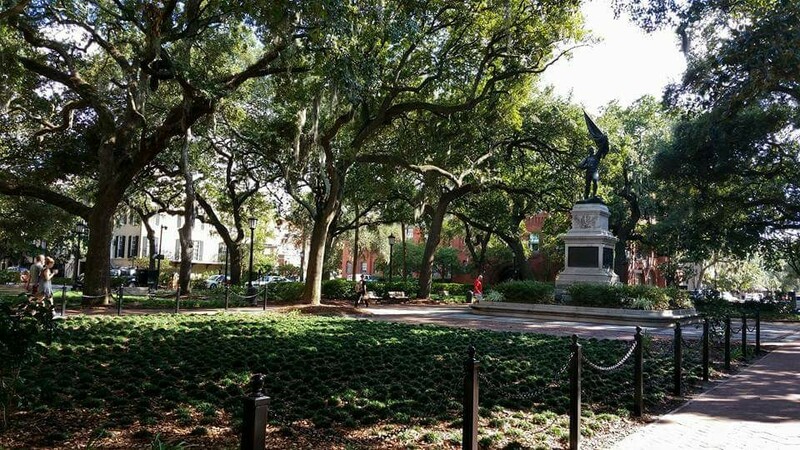 Have you visited the sweet, Southern city of Savannah? Have any recommendations for me (since I’m bound to return soon! )?